Smokers love tobacco. They love pipes and cigars and cigarettes. And they love smoking. And antismokers hate tobacco. They hate pipes and cigars and cigarettes. And they hate smoking. The difference between the two is the difference between love and hate. What is the difference between love and hate? It is said that Love Conquers All. But why should it? Aren’t love and hate symmetrical opposites? Aren’t they equally powerful? And isn’t hate defeating love right now, as the antismokers ban smoking everywhere? But there’s at least one important big difference between love and hate. And that is that while hate is destructive, love is constructive. If you hate someone or something, you are trying to destroy them. But if you love someone or something, you will be trying to enhance and magnify and build them. So, for example, if you love gardens, you’ll probably end up with a lovely garden full of flowers and shrubs and trees and lawns and ponds. But if you hate gardens, you’ll end up with a barren wasteland. You’ll end up with nothing. And that’s why the love of smokers for smoking and tobacco will eventually triumph over the antismokers’ hate for those things. The antismokers can only destroy things. And in the end there’ll be nothing left for them to destroy. They will leave nothing to the world that comes after them, because they never created anything. But the smokers who love pipes and cigars and cigarettes, and smoking and smoky pubs and cafes, will carry on recreating those things that the antismokers have destroyed. Or, to return to the garden. once the garden-haters have killed off all the plants, and left a wasteland behind them, the plants will eventually re-colonise the barren land, and repopulate it with flowers and bushes and trees and pastures, because plants are constructive rather than destructive. So also, once the smoke-haters have killed off all the pubs and cafes, they will be reconstructed by smoke-lovers. It may take a long time, but that is what will eventually happen. Because there is an asymmetry between love and hate, which is the asymmetry between the constructive and the destructive. And there’s a further asymmetry between the constructive and the destructive, which is that it usually takes a long time to construct anything, but only a short time to destroy it. It may take months or years to construct a beautiful palace, but only a few minutes to burn it to the ground. And because destruction is quick, it is short-lived. Once everything has been destroyed, the destruction stops. And once the destruction stops, slow reconstruction immediately starts. So once the short-lived destruction of smoky pubs and bars and cafes by smoke-hating antismokers has ended, they’ll start slowly springing back into existence. And they’ll spring back to life because some people love smoky pubs and bars and cafes, just like some people love gardens, or cities, or countries. Love Conquers All is a translation of a line in Virgil’s Eclogues. These days it’s usually written as Amor Vincit Omnia, but in the original poem it appears as Omnia Vincit Amor. This entry was posted in Uncategorized and tagged antismokers, smoking ban. Bookmark the permalink. Harvard University just came out with a study showing how the US government anti-cannabis propaganda campaigns we’ve been subjected to for decades were all lies. Just wait until they find out that the anti-smoking propaganda campaigns were also all lies. I might not be around to see it, but I know it will happen eventually. Love, truth, and tobacco will overcome hate, lies, and stupidity. Do you have a link to that study? Smokers love tobacco, it contains amongst other things, solanesol and nicotine in the leaves. They feel it does them good. Antismokers love peppers, aubergines and tomatoes, they contain amongst other things, solanesol and nicotine but much less than in tobacco, because these are the fruits of nightshade plants not the leaves. They are sure they do them good because they have been told so. Smokers burn the tobacco leaves and inhale some of the smoke. Antismokers grill, fry, boil, bake or even eat the nightshade vegetables raw. But have not been told that they contain nicotine too. Starting a global war over different cooking methods seems a very silly thing to do. But there is a lot of money and power to be gained through general ignorance, scapegoating and trying to set people who used to live together amicably against each other. 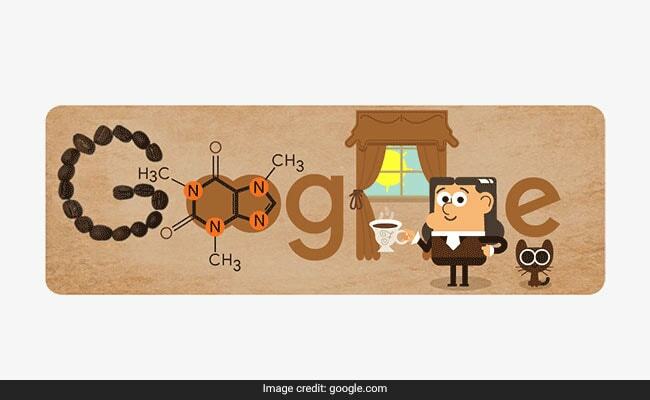 Google Doodles today is celebrating Friedlieb Ferdinand Runge, who identified caffeine; however, before that he identified the pupil dilating effects of belladonna. That’s the Atropine, but you can see why the Europeans were terrified of nightshades for a long time, they recognised the flowers and didn’t trust them. “The Solanaceae is a family of flowering plants, many of which are edible, while others are considered poisonous. The family is informally known as the nightshade or potato family. The family includes the Datura or Jimson weed, eggplant, mandrake, deadly nightshade or belladonna, capsicum (paprika, chile pepper), potato, tobacco, tomato, and petunia. The most important species of this family for the global diet is the potato. The Solanaceae are known for possessing a diverse range of alkaloidal glucosides, or simply alkaloids. There’s no safe level of potato don’t forget. “The Committee considered that, despite the long history of human consumption of plants containing glycoalkaloids, the available epidemiological and experimental data from human and laboratory animal studies did not permit the determination of a safe level of intake. 2.3 Observations in humans makes especially alarming reading. My Mp is safe for now, he is a staunch Brexiteer, despite his obvious fear of tobacco. The party will only get serious if Britain is part of the EU on 26th May. For all the bumph that’s been said, I do believe we will officially exit before then. If anything this development may concentrate minds because Brexiteer and UKIP will wipe the floor of the mainstream parties. Unfortunately, the ideas of the people who hate tobacco will live on through their indoctrinated children. What made it painful to watch is that I can put the chemistry to most of those claims, not sure about flouride though, it was one of Doll’s. Protective effects of niacin against methylmercury-induced genotoxicity and alterations in antioxidant status in rats. Thus fluoride may have been the first suspected carcinogen that Doll protected. He defended water fluoridation in scientific papers, public statements, and court testimony. Fluoride has been a major pollutant from the aluminum, steel, chemical, atomic, and fertilizer industries. Fertilizer industry waste is the source of most fluoride used to fluoridate drinking water. Dr. John Yiamouyiannis, in his book Fluoride, The Aging Factor, details what appears to have been a coordinated effort between American cancer epidemiologist, Dr. Robert Hoover, and Doll and Doll’s co-worker Leo Kinlen, to publish seemingly independent, but in fact duplicate studies, finding no evidence of cancer risk from fluoridated water. Dr. Robert Hoover works at the National Cancer Institute, and is an officer in the Public Health Service Medical Corps. Correspondence, obtained through the Freedom of Information Act, reveal that Hoover sent Doll and Kinlen data and calculated results, and asked them to simply check the math and then publish the same results but under their names. When published, the Doll and Kinlen paper appeared to be an independent evaluation of the issue which corroborated Hoover’s conclusion that there was no link between fluoridation and cancer. But in fact, it was simply a re-hash, with no independent data or new methods applied. Doll and Kinlen then sent the same data on to a third group of workers in the UK at the Royal Statistical Society and asked them to conduct yet another reiteration with the same data. The greatest commandment to me in the Bible is not the Ten Commandments. Which means, when you witness an injustice: Don’t stand idly by. When you hear of a person or a group being persecuted: Do not stand idly by. Do not stand idly by. You must intervene. You must interfere. And that is actually the motto of human rights. Which I think is encouragement to this blog and its readers. All are acting, more or less, as they can. It is said that Love Conquers All. But why should it? Aren’t love and hate symmetrical opposites? Aren’t they equally powerful? Look what hateful people do to others. The only thing they care about is themselves and what THEY want and they go for it and every means for the desired result is legitimate to them. They are using and abusing people. Who wants to be around hateful people? On the other hand, look what loving people do to others. They go out their way to accommodate people as they are interested in them and look for everyone to enjoy life. They are giving people. No screeching or using fear to manipulate others. No manipulating others full stop. Who wants to be around loving people? And isn’t hate defeating love right now, as the antismokers ban smoking everywhere? Hate will never defeat love, it never has and it never will. The only thing that will destroy both, love and hate, is INDIFFERENCE. I disagree. Indifference is far worse than love or hate. Love and hate are strong emotions. Indifference doesn’t care about either.